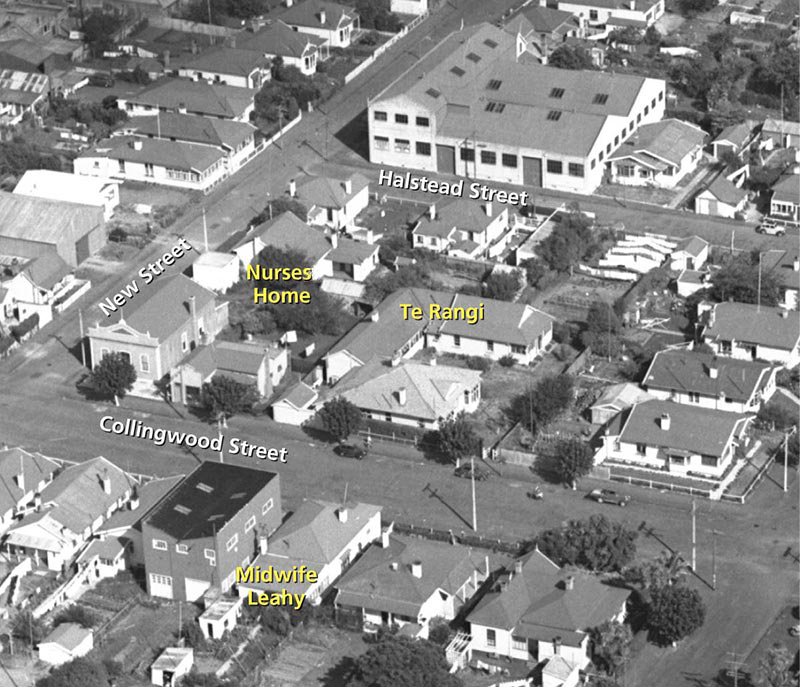 On the 1st of December 2014 a large group of Nelson women met at the Nelson Public Library to share their experiences of Te Rangi, a much loved surgical and maternity hospital in the central city where many Nelsonians drew their first breath. 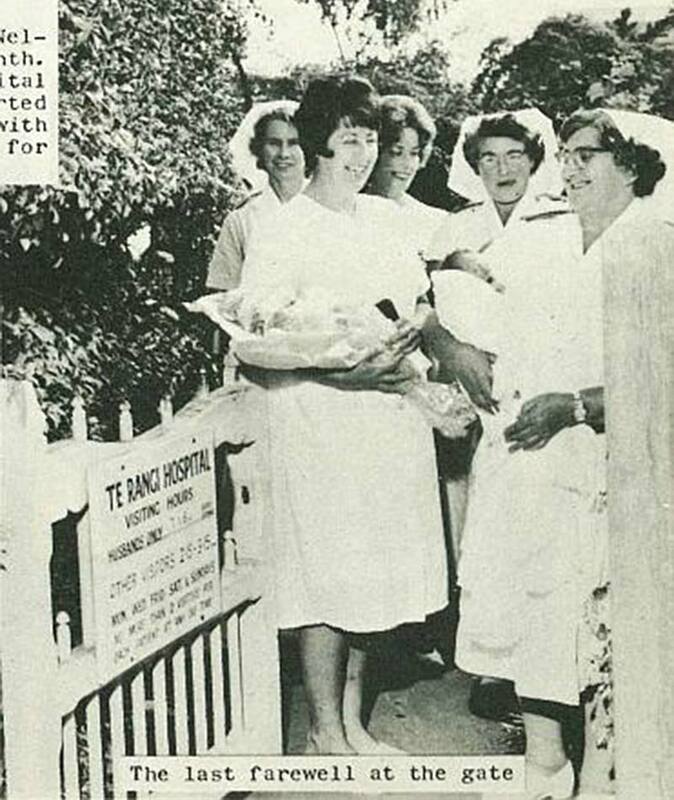 Opened in 1915 and closed in 1966, it is Te Rangi’s maternity services that were most fondly remembered. Scrumptious food, a sunny veranda, cleanly scrubbed steps and wonderfully supportive, fun-loving staff were repeated stories. 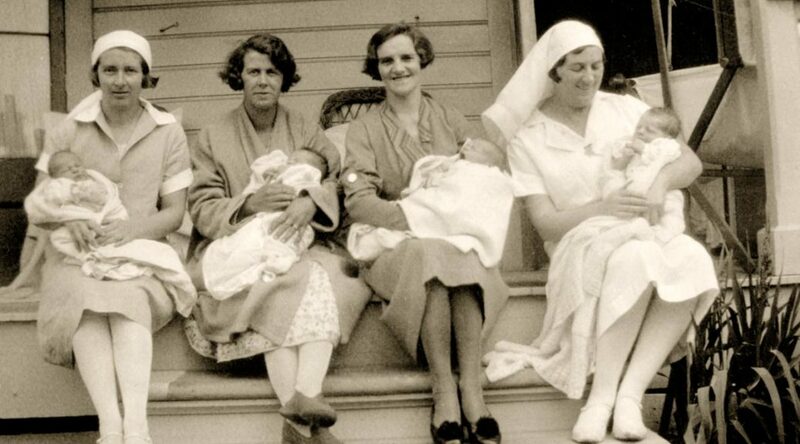 The above photograph of two new mothers and two nurses, supplied by Jenny Eade of Nelson, captures Te Rangi in the late 1930s. Jenny’s mother, nurse aide Zena Wells, sits at the left. 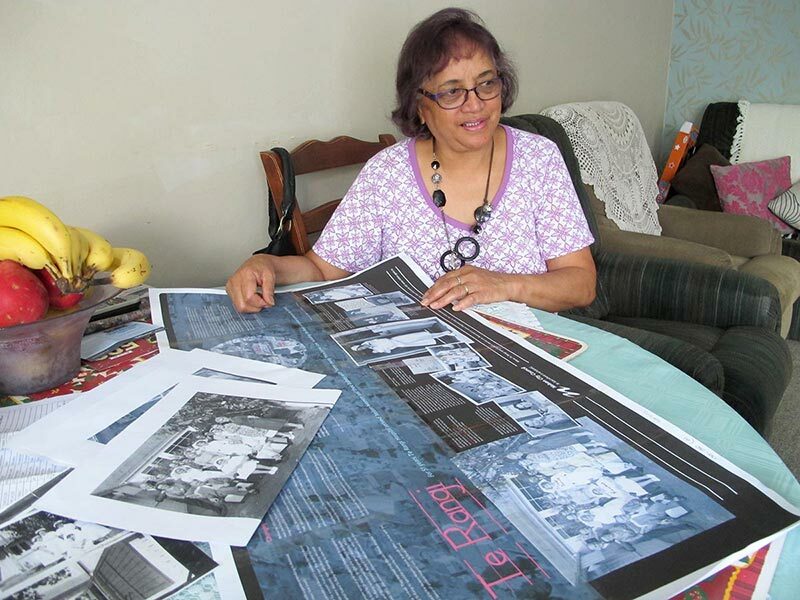 Moana Toetoe was 15 in 1958 when she started at Te Rangi as a ‘domestic’. It was her first job after leaving school – just a few days prior to her first shift. 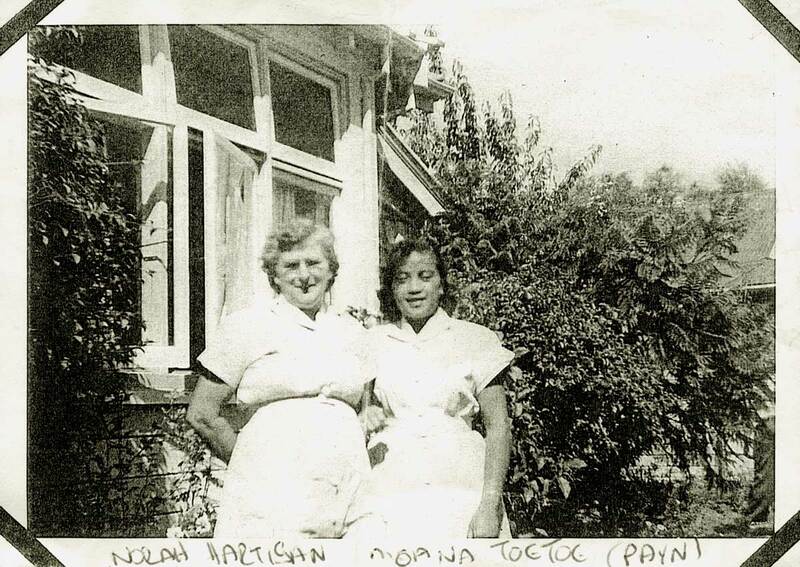 Moana Payn (Toetoe) in 2015 recalls life at Te Rangi in the late 1950s. Moana gave up work at Te Rangi when she married in 1960 and moved with her husband Maurice to the West Coast.